The importance of career networking should never be underestimated. Discover how creative job search techniques will have a great impact as you look for work and learn how to talk to people to find unadvertised leads. When employers are hiring new staff, if they are not limited by company hiring policies, their first strategy is usually to ask existing staff whether they know of anyone who would be a good fit for the job. There's a certain amount of built in trust that comes from a referral because the candidate has already been pre-screened a bit by the person who made the referral. Employers typically prefer to hire a person who has been referred by someone they know. Unless it is necessary to advertise a job opening, most employers try to avoid posting job ads because it means they will have to spend a lot of time sifting through huge stacks of resumes from strangers who may or may not be a good fit for the job. That is why you can't underestimate the importance of career networking in your job-hunt. You may have already heard this commonly quoted statistic - 80% of jobs are never advertised. But did you know that in addition to the fact that approximately 80% of jobs are never advertised (this number is an approximation, not an exact figure), only a small percentage of job seekers actively look for unadvertised jobs. That means, if there are 100 job openings in an area, only 20 of those jobs are advertised and being actively pursued by a lot of job seekers. The other 80 job openings do not have a lot of competition. That is fantastic news for job seekers in any economic situation! Know that making use of your network to find a job is not "cheating" or unfair. I have spoken with a few job seekers who were quite proud of the fact that they were not using their connections to find a job. They didn't grasp the importance of career networking. In fact, they mistakenly thought it was cheating or dishonorable to ask people for help finding job leads. I believe people who minimize the importance of career networking and feel that networking is somehow dishonorable think that by avoiding networking, they can claim extra pride in getting a job purely on their own merits. This type of thinking is completely faulty. It ignores the fact that employers prefer to hire people through personal referrals. Ignoring the importance of career networking often dooms the job seeker to a very long and frustrating job search process. Even if you get your foot in the door through a personal or business connection, you will still need to demonstrate to the employer that you have the skills and experience required to do the job. Making use of your network simply helps you find good opportunities. You still need to demonstrate your value as a potential employee in order to land the job. There is nothing at all dishonorable in finding a job with the help of a personal or business contact. Remember, that's how 80% of job vacancies are filled. If you would like more details about the value and importance of career networking, please see the article Job Search Secret - How to Find a Job for a more detailed explanation of the dynamics of advertised jobs vs. unadvertised jobs and the importance of using creative job search strategies in your job-hunt. Let the supportive people in your life know that you are job hunting. Most people will be happy to help. Remember, job networking is not imposing upon or using people. Mutually respectful and beneficial relationships are the basis of good job networking. If you nurture your network at all times - when you are job searching and when you are not - sometimes you will be in a position to help out friends and colleagues with favors, and at other times they will be in a position to assist you. Be specific about your goals and the type of work you are seeking. Some of your contacts will not have a good understanding of the type of work you do. If you are specific about the type of job you are seeking, your contacts will be able to provide you with leads that are more appropriate for you. If you are vague about the kind of work you are seeking, your contacts will not be able to provide good leads. 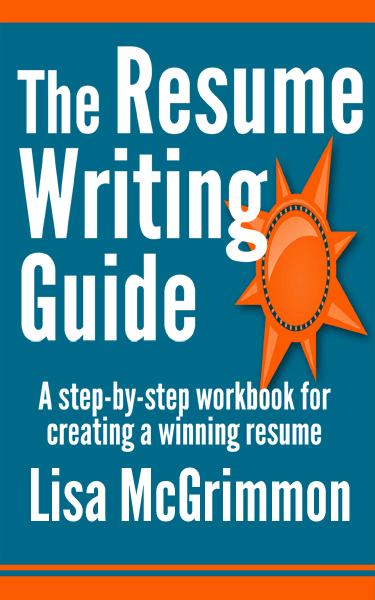 If people are unclear about your professional background, you might consider supplying them with a copy of your resume so they will better understand the type of work you are seeking and be able to provide you with appropriate leads. You must specifically ask your contacts for job leads. If you don't ask, plenty of otherwise helpful people will not let you know about promising job leads. This fact is always a bit surprising to job seekers. People assume that their contacts know they are job searching, so they will automatically provide job leads even if they are not specifically asked for leads. Surprisingly, friends will rarely give job leads unless they are specifically asked for leads. If friends know you are job searching, why won't they share job leads if you don't ask? They may not actually realize that you are job searching. Your job search is probably the center of your world right now, so you may assume everyone knows about it when, in fact, some of your important contacts may not realize that you are looking for a job. They may feel uncomfortable intruding with advice that you didn't ask for. Job searching can be a touchy subject for some people. A huge amount of a person's self worth can be connected to work, so people may feel awkward giving leads and tips unless you have specifically asked for them. They may have a personal policy of not providing unsolicited advice. We've all been in a situation where we've been given unsolicited and unwelcome advice. Nothing is more annoying than getting advice you don't want and didn't ask for.For that reason, some people are very careful to avoid providing unsolicited advice, but they would be very happy to help you out if you just asked. They may realize you are job searching and have a good job lead but fail to put those two facts together. People become busy and wrapped up in their own lives, and they may not connect one thing they know (that you are looking for a job) with another thing they know (that they have heard about a great job lead) unless you have specifically asked them to pass along any job leads. That is why you must make a point of asking all of your contacts for job leads even if you think they already know you are job searching. Keep in contact with your network whether you're job searching or not. Avoid being the person who only calls when there's something to gain. People will be motivated to help you when they feel they have a genuine connection with you. They will not be so motivated to help if they feel they are being used or that you only contact them when you want something. Make a point of asking people for leads and tips. Don't expect people to provide leads if you don't ask. Many people will want to help you with your job search, but they may also be wary of offering unsolicited advice. Be sure to let people know you're on the lookout for job leads and would appreciate any leads or tips. Follow up with updates and thankyous. When someone in your network provides you with a lead, be sure to thank that person. Provide that contact with an update on your job search and let them know the results of pursuing their lead. When you do land a job, let your contacts know about it and thank them again for all of their help. Do not underestimate the importance of career networking. Take care of your business contacts, and they will take care of you. Now that you know the importance of career networking and how to talk to people you already know to find job leads, here are some more advanced and creative job search techniques.